What is an LLC?. An LLC is best described as a business structure that is a “hybrid” between a partnership and a corporation. It has the liability protection (“corporate shield”) of a corporation and the charging order protection of a partnership? 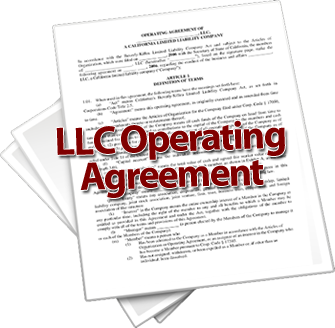 LLC stands for Limited Liability Company. An LLC is best described as a business structure that is a “hybrid” between a partnership and a corporation. It has the liability protection (“corporate shield”) of a corporation and the charging order protection of a partnership. In many respects it is easier to manage than a corporation, and it has the advantage of choosing a tax structure. It can be taxed as a sole proprietorship (disregarded entity), partnership or corporation (S or C). Developed in Wyoming in 1977. In 1981 the Internal Revenue Service blessed the LLC’s tax structure. The rest is history because now all fifty states have recognized the Limited Liability Company statutes. In most cases, LLC’s are the best, most up to date business structure you can use for a small business. I recommend them to most of my clients. They are easy to form, protect your assets, and are easier to manage than a corporation. Plus, if you structure your documents correctly you can get double asset protection. Setting up an LLC is simple. The good part is you can do it yourself for free! Just go to your state’s business website and download your state’s articles of organization forms. They are short, usually two or three pages. They do require some personal information. When you fill out your LLC articles of organization forms, never give more information than you need to, because the forms are public. Next you need to file your LLC articles of organization (most states let you file online) and pay the state fees. You are now a limited liability company. Congratulations!! Deciding which state you want to form an LLC in. Setting your operating agreement in place. Hint: The standard boilerplate LLC form isn’t going to cut it. Issuing membership interests as part of your LLC formation. How to choose and file the proper tax election. Necessary requirements to “maintain” your LLC. Please note that your operating agreement should not be a boilerplate form. Boilerplate is OK for articles of organization, but not the operating agreements. You must customize your operating agreement so your LLC can have double asset protection, charging order protection, tax benefits, and flexibility. Then there are the LLC formalities that should be maintained each year. Few people get this right. If you don’t get it right, when you get sued the judge will “pierce the corporate veil.” Yes, your LLC has a corporate veil. If you want help gettting this right, our six hour audio course, LLC Wizard, with all of the computerized forms, gets you all the way there. It isn’t just how to set up your LLC. It’s how to get maximum asset protection (double the asset protection you get out of most business entities). It’s how to make an extra $10,000 or more a year. How do you make more money? Nobody ever takes you there. 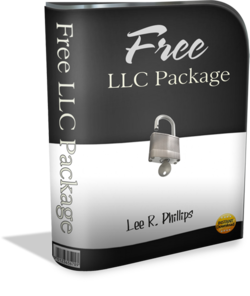 LLC Wizard will take you there and beyond. LLC Wizard will show you how to lower your AGI and make more money across the board. How to LLC isn’t difficult, you just need the proper guidance in the entire LLC set up process. Get LLC Wizard now and get your LLC set up, done right from the beginning. The whole purchase is tax deductible. Why not let Uncle Sam help your business? If you already have your LLC, it’s never too late to go back and clean it up. It’s a guarantee that LLC Wizard will get you more money this year than you spend on the course and all of your LLC set up or clean up. Once you know how to set up and run an LLC, doing business gets a lot better!